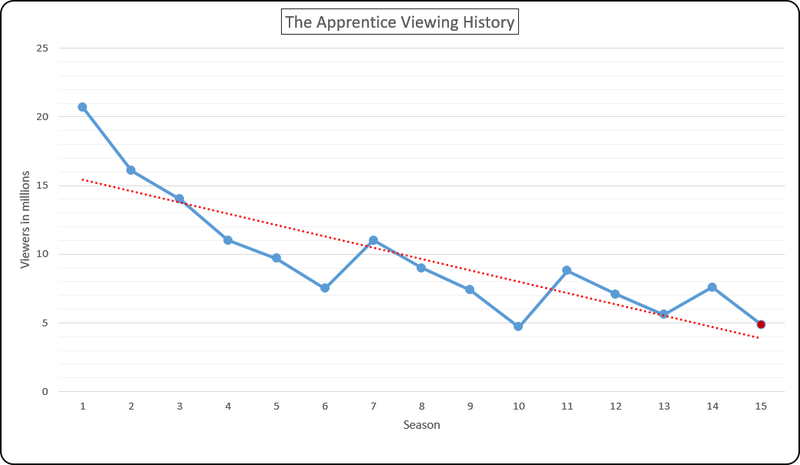 The New Celebrity Apprentice has already seen it's lowest viewing figures since records began 14 seasons ago, but tonight could mark an all time low in viewership numbers thanks to Super Bowl LI. With at least 100 million people tuning in to see Tom Brady's Patriots lose to playing America's favorite Atlanta Falcons it is possible that Arnie's Apprentice could actually have less than 1 million viewers tonight. The previous host of Celebrity Apprentice has gone on record saying that the new guy needs all the help he can get. "They hired a big movie star, Arnold Schwarzenegger, to take my place," Trump said at the National Prayer Breakfast. "And we know how that turned out. The ratings went right down the tubes." He continued, "It's been a total disaster and I just want to pray for Arnold, if we can, for those ratings." To be fair, the ratings for the show since it's inception have been on a gradual decline since it began, with viewing numbers going from 20 million down to 4.7 million. There was a 7 million viewer peak for season 14 which coincided with Trump's sudden move into the political arena, and then a return to almost 5 million as Arnold took over the reins. There are a number of reasons why the show is only half as popular as when it started. Maybe people are getting bored with it; the same old show week to week and season to season. It's possible that people do not want to see anybody but Trump at the helm and have quit watching it. Perhaps people think that Trump owns the show and refuse to watch it out of protest. Of these three possibilities, I think the first is most likely. 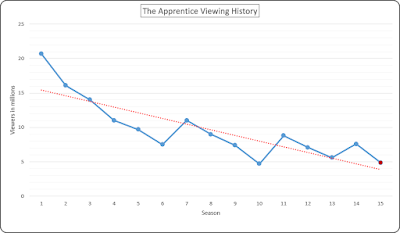 The show was on a downward slide and Schwarzenegger's numbers are in line with the existing trend. Trump cherry picked the facts to punctuate his own personal brilliance against a 'Hollywood Hero' even though Trump was in charge during the show's smallest ever audience in Season 10. I am not going to draw any political analogies, you can generate your own facts and make them as alternate as you want to, but I will point out that facts are not facts until they are checked. 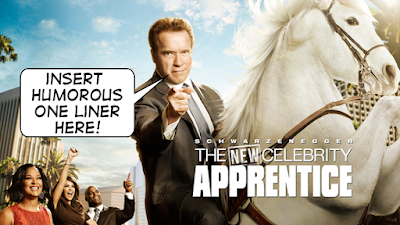 When Mr Trump compared viewing figures from the first season to the latest season, claiming that it is a disaster and that Schwarzenegger needs to be prayed for, he is twisting the statistics to suit his own narcissistic purpose. He is exaggerating himself upon those who blindly trust his words. Mr Trump is attempting to gaslight an entire nation and we need to maintain our sanity and not be pushed around by the government of the people, by the people, for the people.